A key House committee appears unlikely to embrace the marijuana legalization bill before it, but its members are considering alternatives. House Judiciary Committee chair Maxine Grad (D-Moretown) said she can’t envision a majority of her 11-member committee voting for the legalization bill that the Senate passed in February, which would allow the sale and possession of small amounts of marijuana in 2018. House leaders have been clear that the legislation faces tougher going in the House than it did in the Senate, where it passed 17-12. “I don’t know how far people can go,” Grad said Tuesday. “You think you can get six votes out of our committee for that? I don’t know,” committee vice chair Willem Jewett (D-Ripton) said Tuesday. But there may be an alternative to set the stage for eventual legalization, Grad said. The committee is expected — by week’s end — to start crafting its own bill designed to prepare the state for legal marijuana. “The big argument I’m hearing is ‘Get your ducks in a row,’” said Rep. Tom Burditt (R-West Rutland), a committee member. 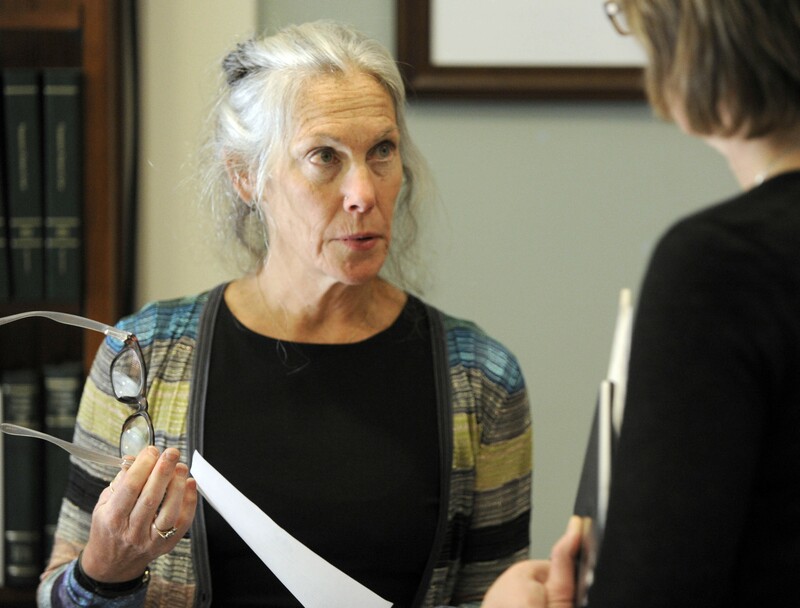 Toward that end, the committee could consider establishing a trigger for legalizing marijuana after other states approve it, or after certain programs are in place in Vermont, Grad said. Or it could establish drug prevention and highway safety measures, such as a roadside test for drugs, in anticipation of eventual legalization. 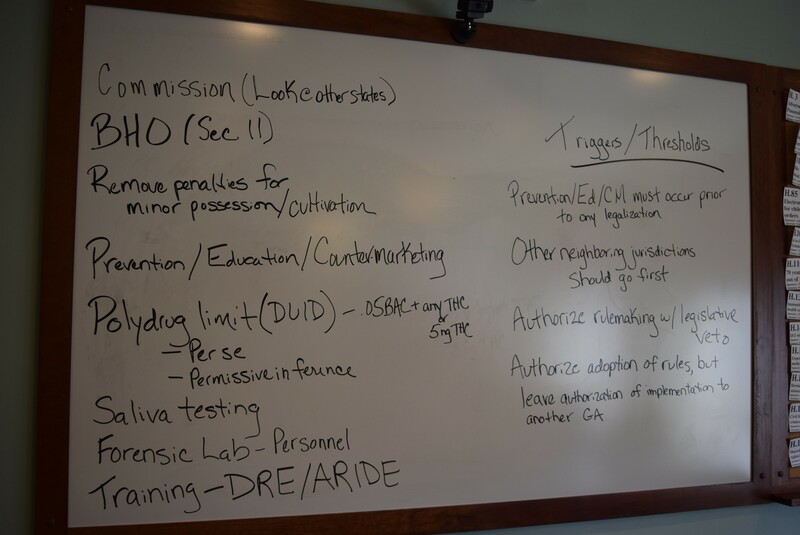 Ideas the House Judiciary Committee considered Tuesday afternoon. The sticking point with those ideas, however, is finding the money to pay for the programs before tax money would be available from legal sale of marijuana, Grad acknowledged. Grad’s committee started work late Tuesday on assembling ideas for its own House bill instead of rewriting the Senate bill. “There is some sense that building their own bill would allow them to find areas of agreement more easily,” said House Speaker Shap Smith (D-Morristown), who said he expects the committee to vote on something this week or early next. Logistically, that approach poses challenges and surprised supporters of the legislation. For the Senate to consider a House bill this late in the session, it would need approval from the Senate Rules Committee, a relatively conservative panel that would likely balk. Smith said either a rewritten Senate bill or a new House bill would face tough odds. 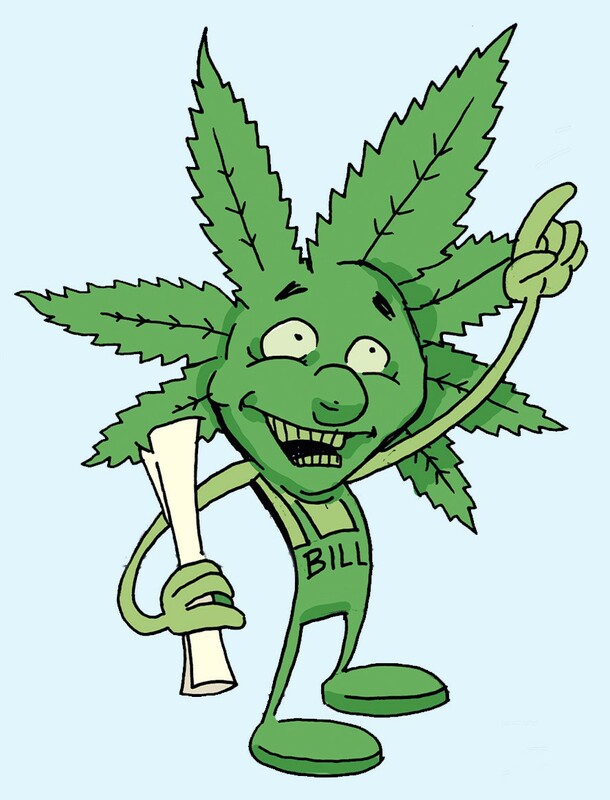 When he heard Tuesday that the committee was considering a new House bill, Rep. Chris Pearson (P-Burlington), a legalization supporter, was dubious about its chances. “At first blush it doesn’t look like a good way to get a bill to the governor’s desk,” he said.